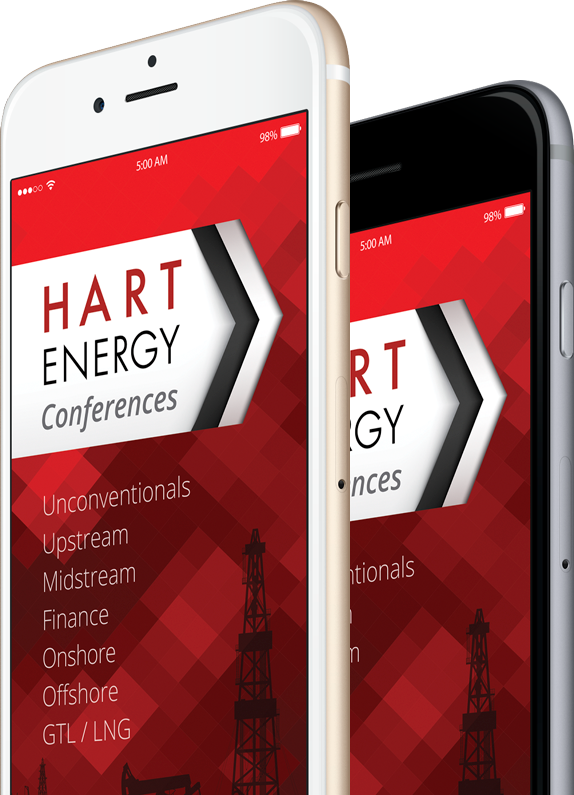 Hart Energy’s new conferences app takes your experience at our events to the next level. From networking connections and personalized schedules to conference content and navigational resources, you have the tools you need to get maximum ROI. And the best part… it’s all in the palm of your hand. Within minutes, you can have access to the most important content for your next conference. Sessions, speakers, exhibitors… it’s all just a touch away. The app’s intuitive design makes it easy find what you’re looking for. See for yourself why the Hart Energy conferences app is the perfect companion to the live event experience. Update your profile and connect with attendees before, during and after the show. Learn about our expert speakers – access their photos, bios and the sessions they are speaking in. Preview the conference agenda and details on other supplementary conference events. Are there speakers and sessions you want to see? Save them all in your personalized schedule. Looking for specific products and services? Bookmark all the exhibitors you want to see. From the exhibit hall to the city, access interactive maps that’ll make it a breeze to find what you’re looking for.